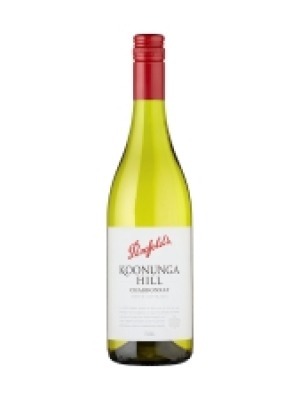 Penfolds Koonunga Hill Chardonnay is a popular Australian White Wine available from Tesco Wine in 75cl to buy online. Visit Tesco Wine for the best price for 75cl of Penfolds Koonunga Hill Chardonnay or compare prices on our other Australian White Wine products. This Chardonnay is a well-rounded wine, with individual primary fruit of white peach and lemon characters and good levels of intensity. Ageing in French oak barriques allows for richly concentrated wine with plenty of texture and creamy flavours. Where to buy Penfolds Koonunga Hill Chardonnay ? Penfolds Koonunga Hill Chardonnay Supermarkets & Stockists. You can buy Penfolds Koonunga Hill Chardonnay online in most retailers and find it in the Australian White Wine aisle in supermarkets but we found the best deals online for Penfolds Koonunga Hill Chardonnay in Tesco Wine, DrinkSupermarket.com, and others. Compare the current price of Penfolds Koonunga Hill Chardonnay in 75cl size in the table of offers below. Simply click on the button to order Penfolds Koonunga Hill Chardonnay online now.